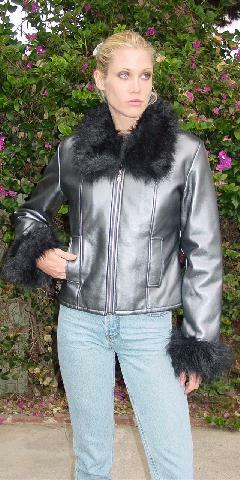 This gray 100% polyurethane jacket has a dark gray 100% nylon lining. It has a top to bottom front zipper, front side pockets, and long sleeves. 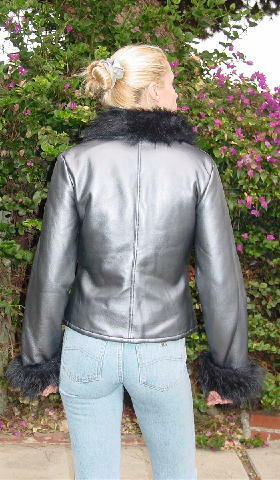 There is a black faux fur collar and the sleeves have 3 1/4" faux fur cuffs. It's a great little jacket that goes with anything. shoulder to hem 21 3/4"